A story about how I actually started craving salad . lol. Hello beautiful people , do you ever have a goal to do something , then you do it and after a while you tend to forget how important it once was ? No? Well , at least for me , that is what happened to me . About a little more than two months ago , I changed my vegetarian diet into a plant-based one ( aka the best decision of my life ) . First of all my parents weren’t too fond of it , but after some good agruments they agreed to support me. It seems to be a trend of our generation to eat vegan , but we have our reasons. And I think our reasons are good . I turned vegan for ethnical and health reasons , because it fits my lifestyle and for now it makes me very happy. No , I do not think it is hard , or boring . I have never been so excited about eating healthy food in my life and despite the “ where do you get ur protein “ and “ u neeed ur meat “ opinions people say I inspire them and they think it is great . I love eating whole foods , no fake meat or egg substitution ,but mostly vegetables , fruit , beans and grains , and I absolutely adore it . Need an example ? 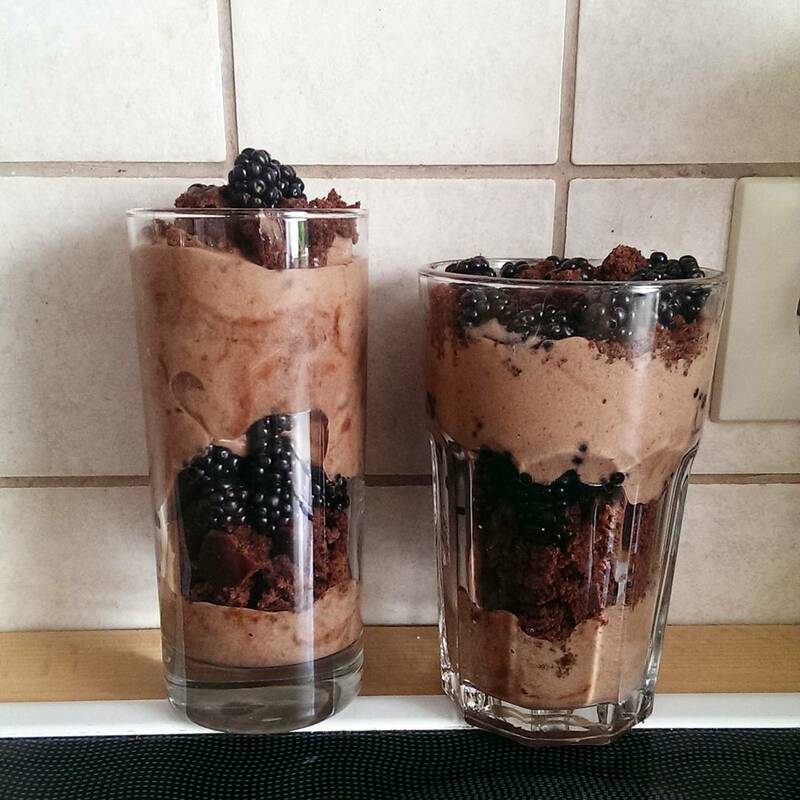 Let me present you my “ chocolate cake blackberry ice cream sundae “ !! step one : make a vegan chocolate cake 300 gramms sugar 450 gramms flour 6 tbsp of cocoa powder 2 tsp of baking powder 150 ml of oil 250 ml of plant based milk about 100 ml of water ( depends) Mix everything in a bowl , pour into baking pan and bake for 30-45 minutes at 175 degrees °C . 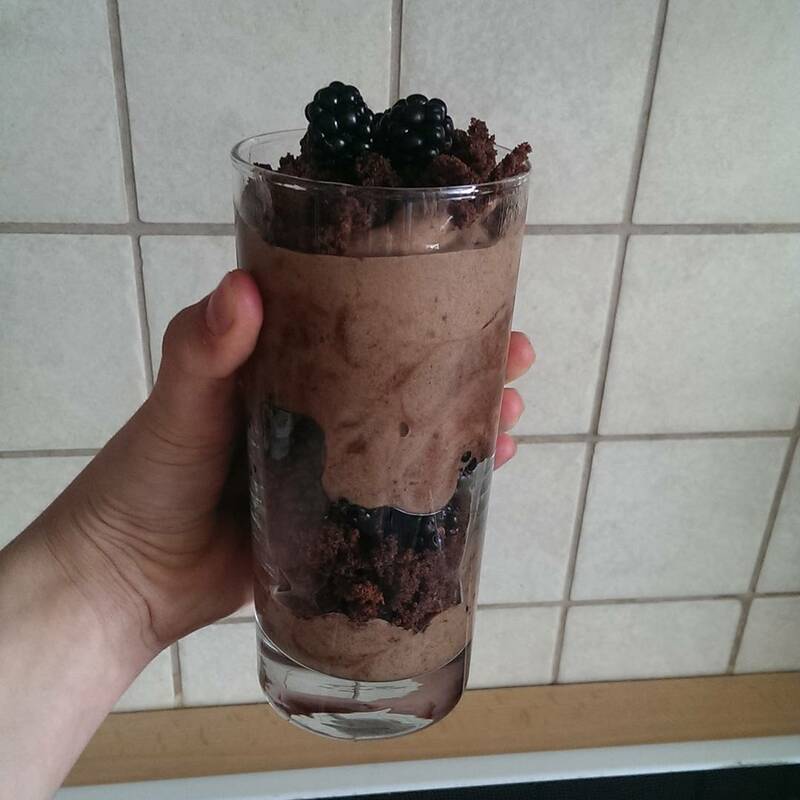 step three : create sundae In your glass layer your ice cream , blackberries and chocolate cake crumbles , serve immediately.